Traditionally the longest lasting material, water reed lasts approximately 50 to 60 years, but in some cases, has survived over 100 years. 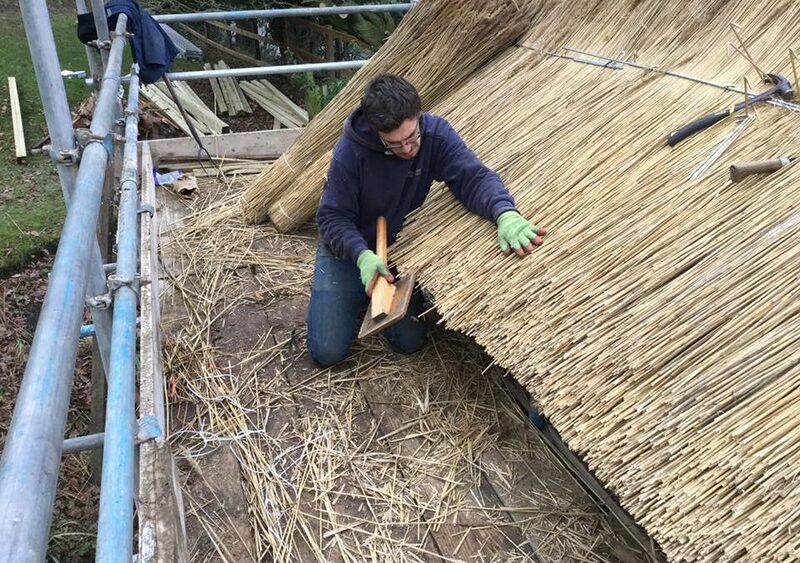 When re-thatching in water reed, all of the existing thatch is removed down to rafter level. The timbers are inspected and where required, new rafters installed. We also offer the installation of thermal insulation, fire protective materials, application of breathable membrane and treating the timbers with dry rot/anti wood worm spray. A new coat of water reed is applied, 14-16” thick, fixed by steel rod directly into the rafters. The roof is then ridged, with new wire netting also applied.